Excel sheets are very common files in corporate environments. It’s definitively not a security tool but it’s not rare to find useful information stored in such files. When these data must be processed for threat hunting or to collect IOC’s, it is mandatory to automate, as much as possible, the processing of data. Here a good example: Everyday, I’m receiving one email that contains a list of new URLs found on the dark web (Tor network). I’m processing them automatically with a script but it’s a painful task: open the Excel sheet, select the URLs, copy, create a text file, paste and the file to the next script. Being a lazy guy, what not automate this? You can specify the cells to dump with the ‘–cols’ and ‘–rows’ parameters. Only one, a range or starting from (‘A’, ‘A-C’ or ‘A-‘) and (‘1’, ‘1-100’ or ‘1-‘). 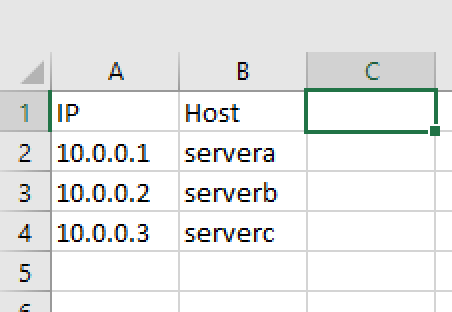 Multiple ranges can be separated by commas. 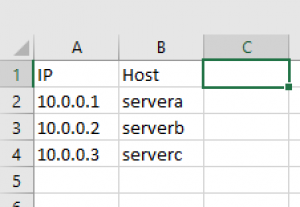 A maximum of cells to reports can be specified (the default is 65535). You can also stop processing cells when a first empty one is found. If no ranges are specified, the script dumps all cells starting from A1 (be careful!). The script is available on my github repository: xlsxtract.py. Pingback: “TorWitness” Docker Container: Automated (Tor) Websites Screenshots – Insuring Your Future… Today. Pingback: Automatic Extraction of Data from Excel Sheet – Insuring Your Future… Today.